I like names that work on multiple angles. A "lawnmower beer" is something cold, fizzy, refreshing on a hot day after chores (like lawn-mowing) are done. It's not meant to be high-brow, just pleasantly drinkable. Then, as well, there is the fact that during this brew, I actually did mow the lawn. 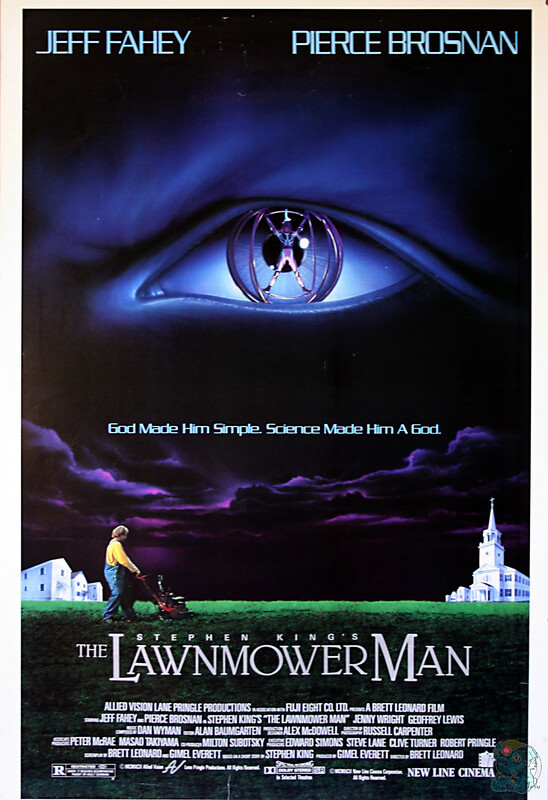 So I was a lawnmower man... or perhaps, a lawnmowing man. SCIENCE MADE HIM A GOD. The trifecta is achieved: Meaning, circumstance, pop culture reference. A name is born! As for the brew, a few different things with this one. Instead of my traditional 50/50 split of super-hard tap water with super-soft RO water, this beer was put together with 100% RO with small mineral additions (1gr chalk, 1gr epsom salt, a tiny amount of table salt) to achieve a water profile similar to Pilsen, Czech republic. Of course, I have no idea if I actually hit those precise sub-gram measurements, or how mineral-free my RO supplier's water is, but I'm interested to see what effect this will have. Also, I now have a kegging system, so this will go into keg once it's done. Hurrah kegerator! 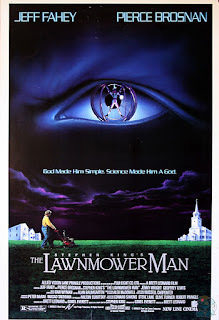 I present: Lawnmower Man Blonde.